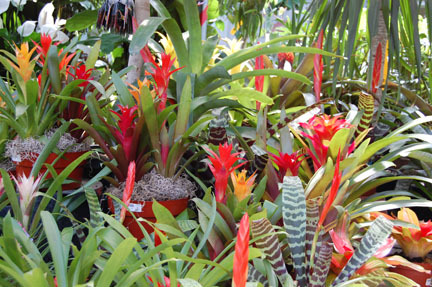 One of Payne’s most popular gift plants, bromeliads are colorful, easy-care and pest-resistant houseplants that are native to Brazil. They are often called “air plants” because in their natural habitats they grow on trees. Bromeliads bear rosettes of durable, patterned, strap-like leaves and bright blossom spikes that can last for up to 8 months. For best flowering and offset production, give plants bright light away from direct sun — full direct sunlight will burn the leaves. 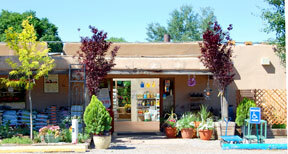 Grow plants indoors all year at temps between 55ºF and 85ºF. Water once a week year round. Pour water into the center “cup” of the plant until it overflows into the leaf pockets and drains into the soil. Feed with a half-strength, balanced (such as 20-20-20 or 15-15-15) water-soluble nonorganic fertilizer during the warm months and withhold fertilizer in winter. When an offset gets half as tall as its parent plant it can be removed—make sure it has roots attached—then potted in its own container. An offset will take several years to reach flowering stage.